Last week the unthinkable happened – Instagram and Facebook went down for the majority of the day. I’m willing to bet that you also saw the influx of posts and stories about how we should be working on growing our email list after that too, didn’t you? Here’s the thing – you might have rolled your eyes at all of the people who were saying that, but it’s totally true. Social media platforms are just borrowed platforms. They could go down temporarily leaving you unable to communicate with your audience for a few hours, or they could completely shut down leaving you no chance to reach back out to your people again.. at all. 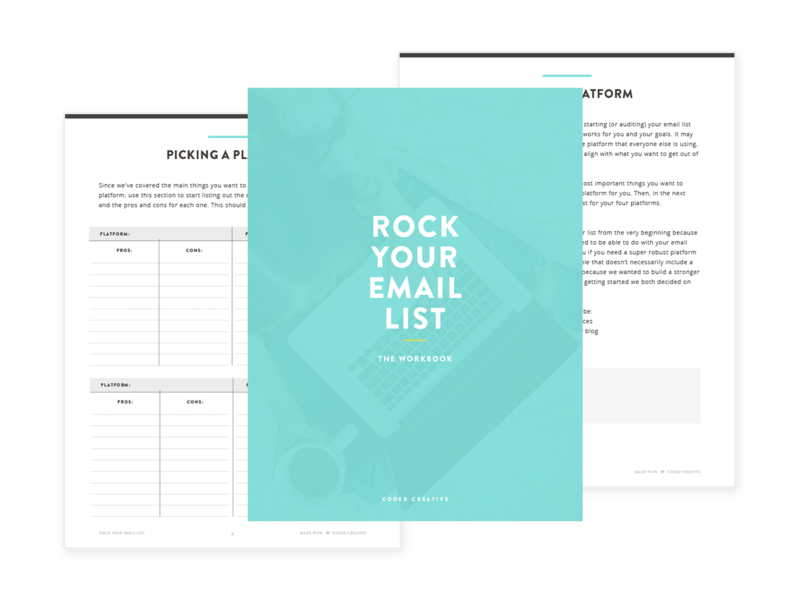 However, I know that with so many other content creators and great freebies online, it can be hard to get your audience to opt-in for your email list. 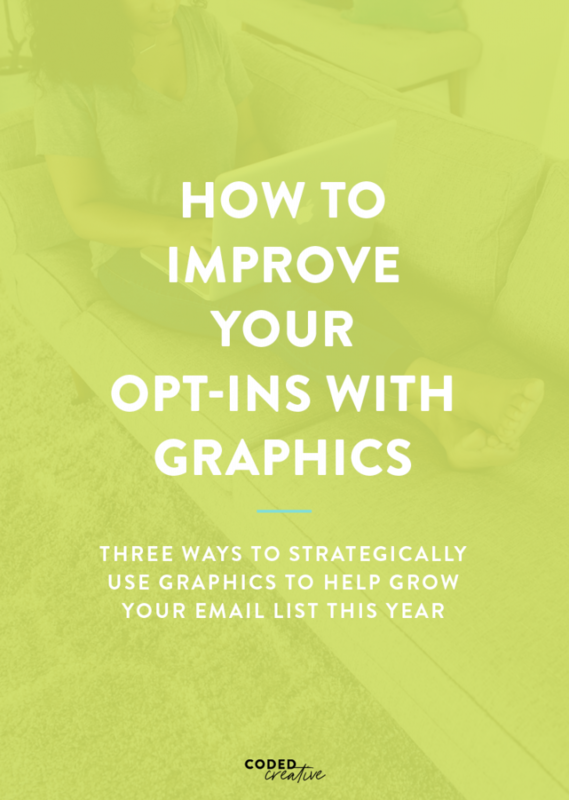 So, today I wanted to share a few ways you can improve your opt-ins with graphics. After months of planning, a lot of hard work, countless hours in Photoshop and Canva, I’m so thrilled to finally introduce you all to the Coded Creative Pinterest Templates! 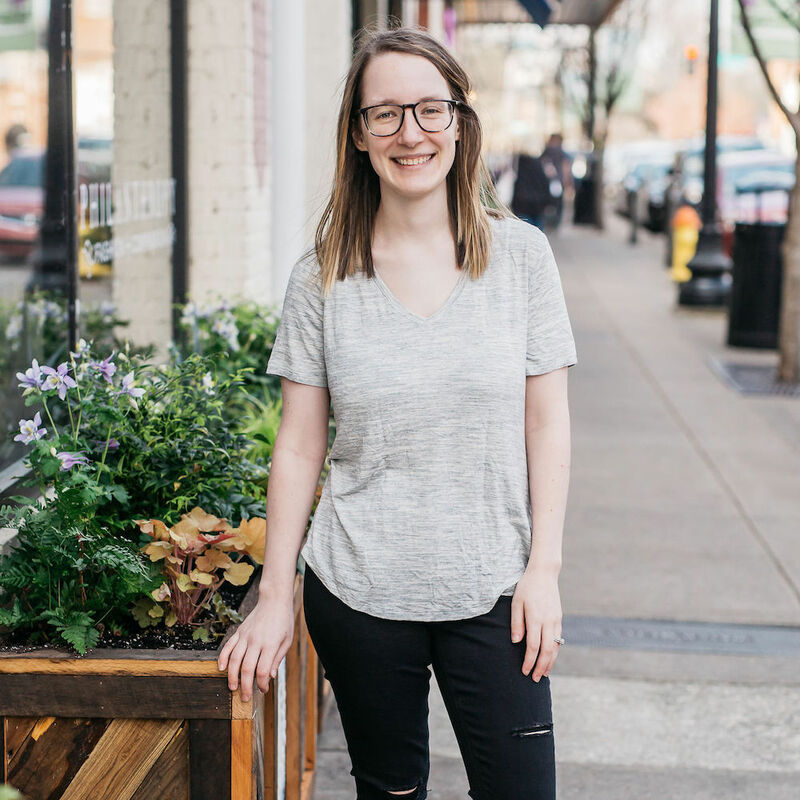 At the end of 2018, I was spending a lot of time brainstorming what I wanted to do with this business this year. I have lots of ideas on ways to improve the existing themes, design ideas for new themes, so many content ideas for blog posts, and more. However, when I was working through a course I had purchased it hit me: the shop didn’t just need more and more themes. 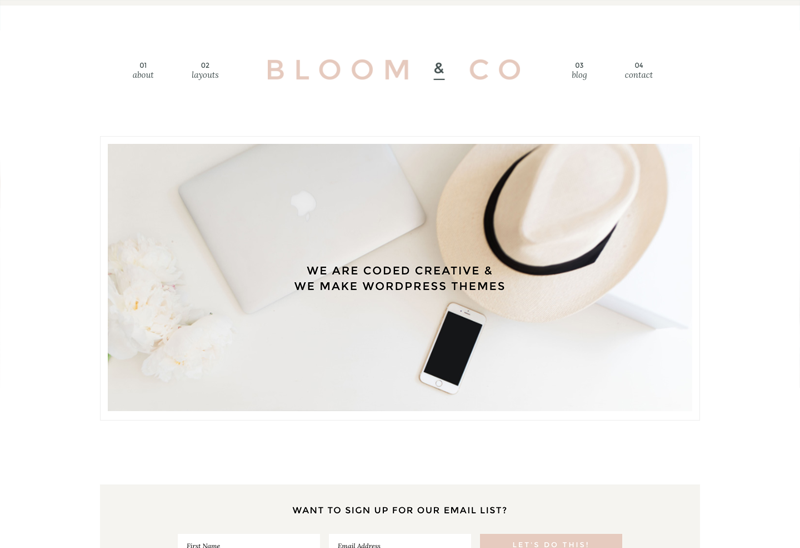 I needed to help my customers in a bigger way – beyond just giving you a WordPress theme and thinking you were all set. Five months later and the Pinterest templates are finally born! 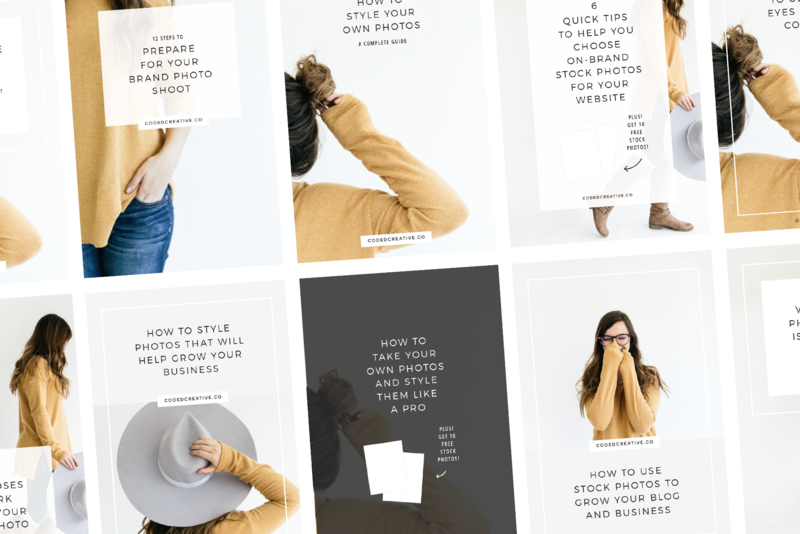 In just one week I’ll officially be adding branded Pinterest templates to the shop, and I’m so excited to add these digital products for you because I know just how beneficial they can be for your business. 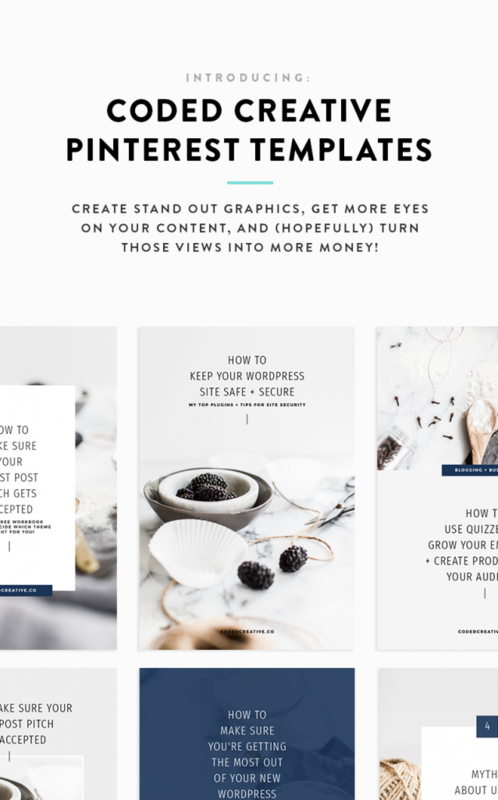 In fact, there are a ton of obvious reasons to start using Pinterest templates for your content: it makes creating graphics faster, you images are always branded, no more trying to figure out design on your own, getting more page views, and so on. 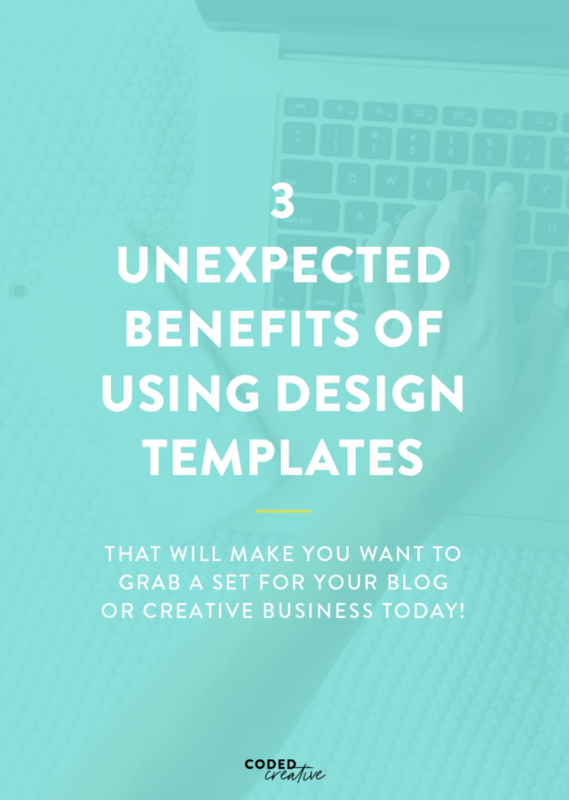 However, there are a few unexpected reasons I believe everyone should use templates (whether you buy pre-made designs or a designer makes custom ones for you), and today I want to share those with you! When it comes to promoting your content, the most obvious way to get it out there is by using beautiful graphics and posting them to various platforms. From your own website to Pinterest, Instagram, Facebook, and YouTube, and more – there’s a never-ending list of ways you can promote your content once you’ve created it. The problem, though, is that most people (maybe you, too?) aren’t super comfortable with design. That’s part of the reason Canva has become so incredibly popular. It takes the guesswork out of designing graphics and makes it super simple for literally anyone to create graphics that’ll do the work of promoting their content. 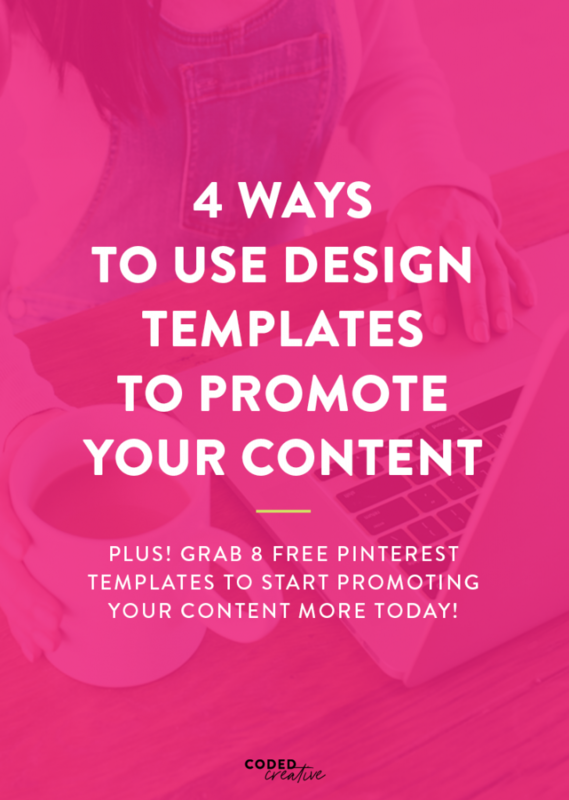 So today, I wanted to break down 4 important ways you can use design templates to start promoting your content, get more eyes on your site, and (hopefully!) turn those views into more money for your brand.